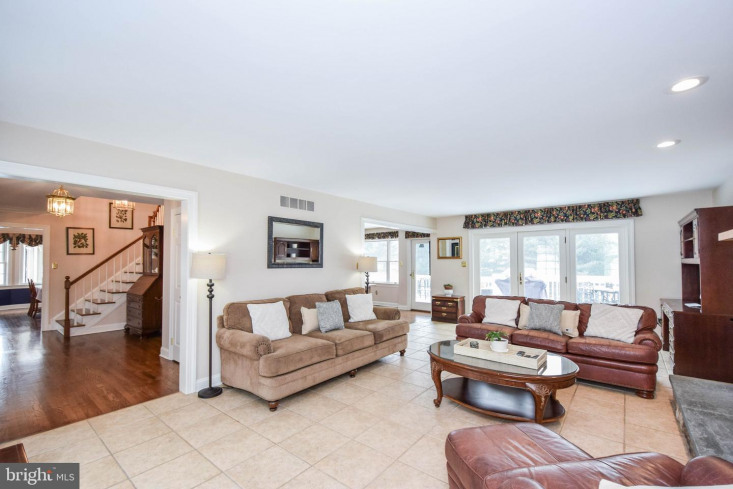 Desirable location, spectacular views, gorgeous curb appeal, and move-in ready condition! 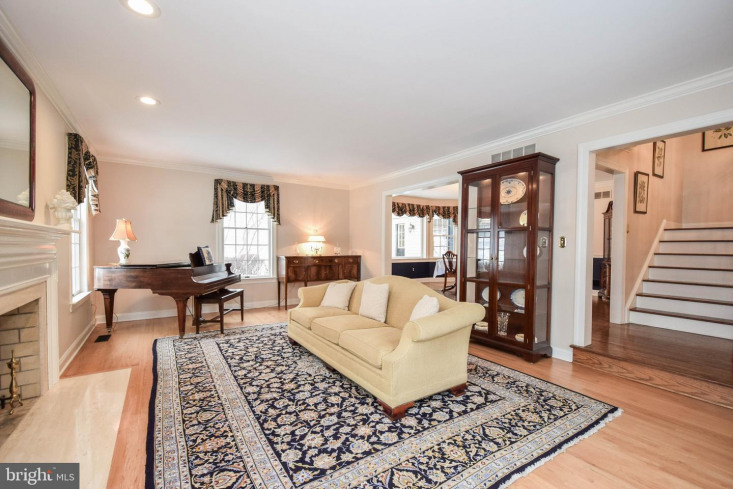 Welcome to 4865 Cheshire Road in Fox Hunt Estates offering 5 bedrooms, 2.5 bathrooms & 3, 800 square feet. 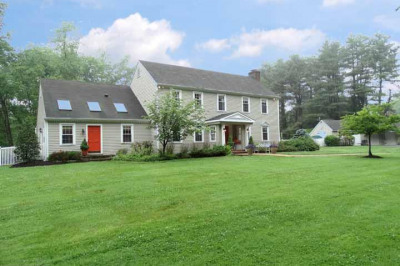 As you arrive notice the home is the only one in the neighborhood sitting in a private cul-de-sac. 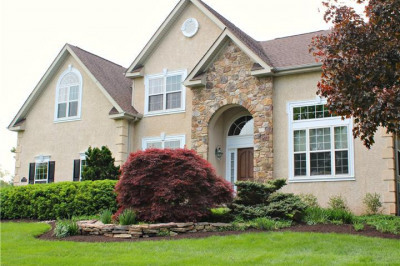 The home sits in the Central Bucks school district (CB East High School). 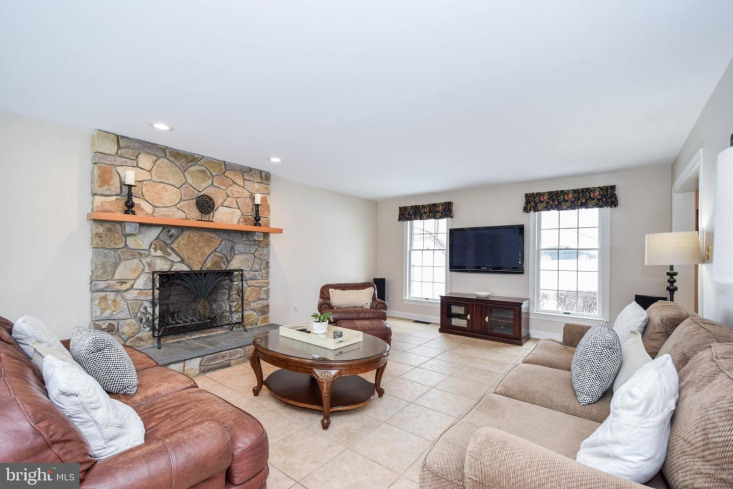 The exterior of the home is absolutely stunning with 1.56 acres, huge deck & patio in the backyard, cedar roof, an oversized 2 car garage with tons of storage space, stone front chimney and so much more! 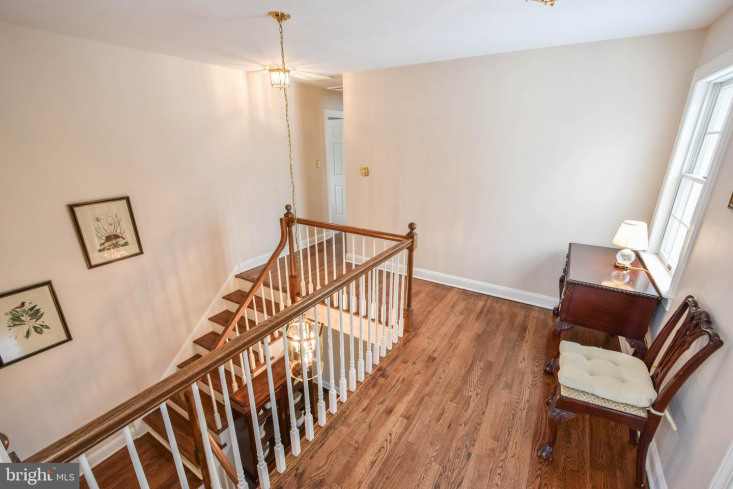 As you enter the home notice how the first floor flows perfectly to each room making it super easy for entertaining guest. 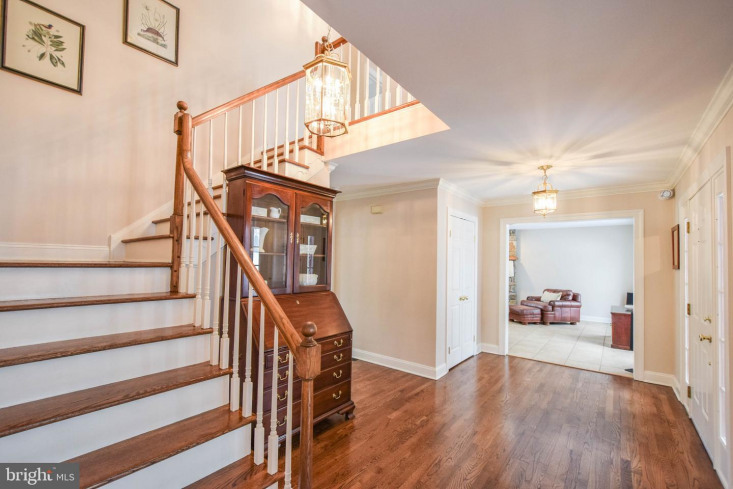 The foyer opens up with hardwood flooring. 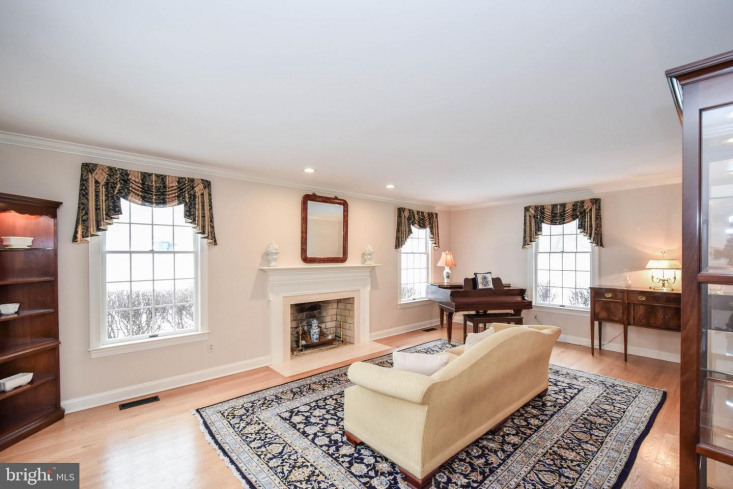 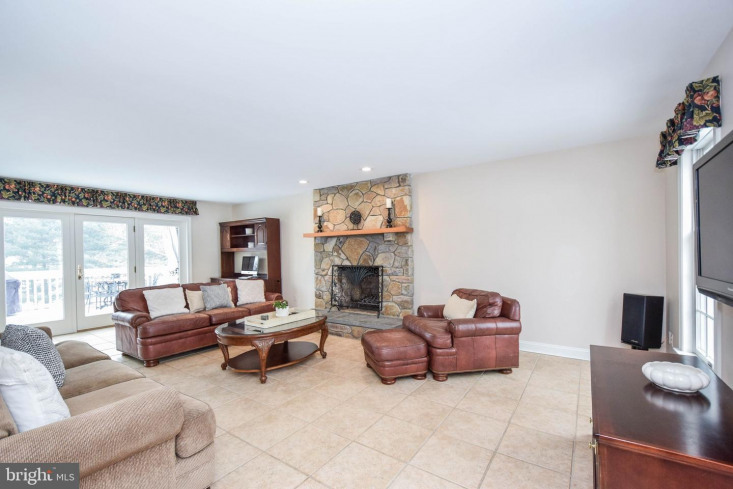 The family room offers nicely laid out tile flooring & a stone front fireplace with recessed lighting. 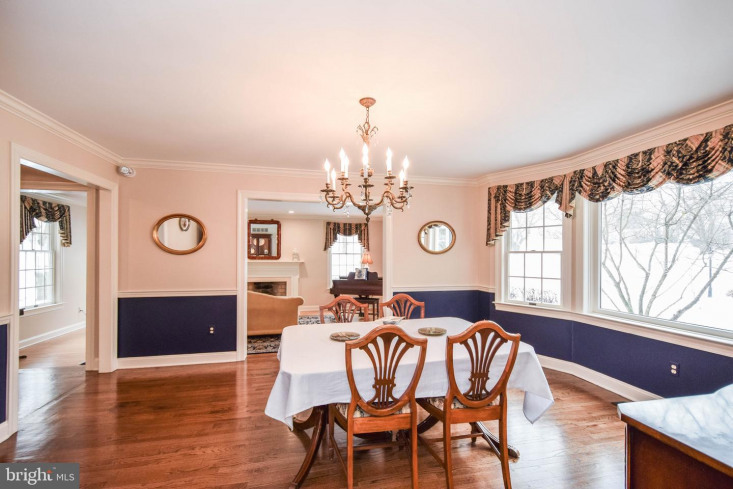 The living room is off of the dining room with great natural light shining through. 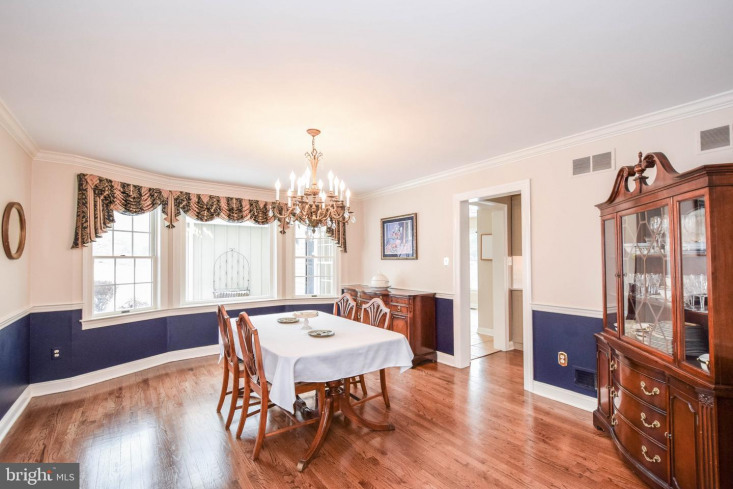 The kitchen with breakfast room has been recently updated & upgraded. 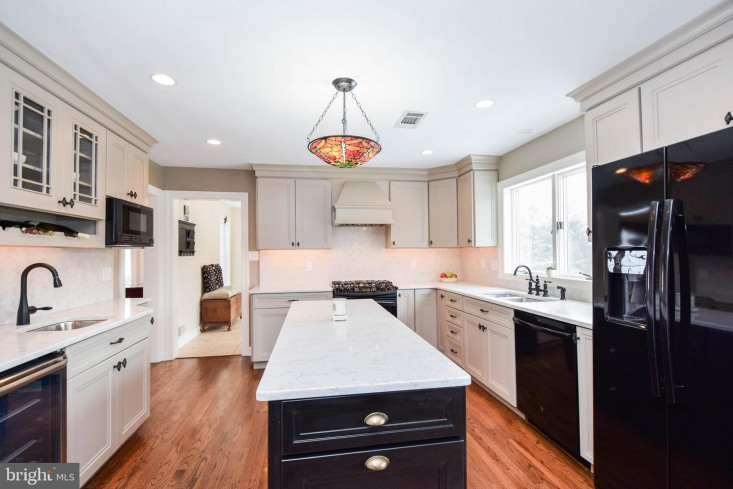 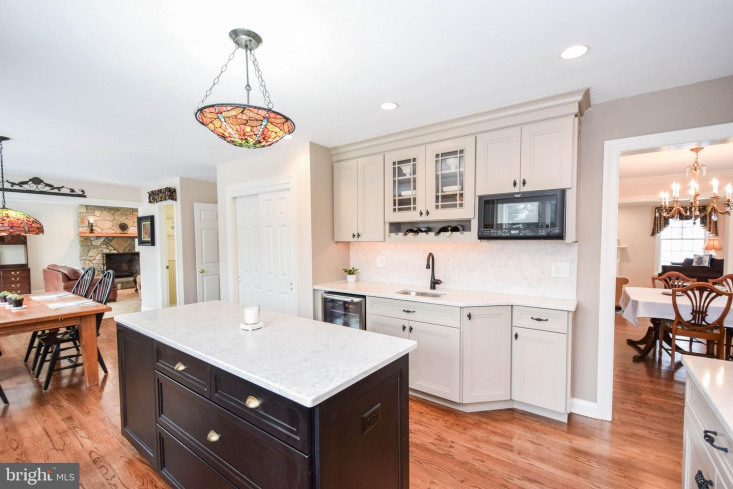 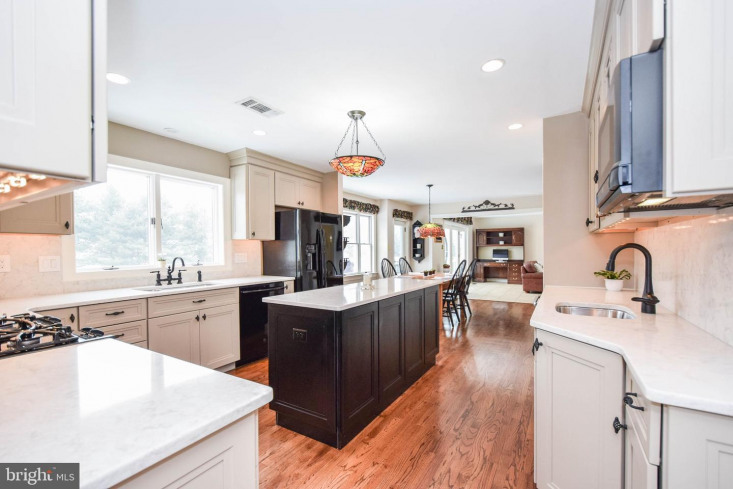 Offering gorgeous countertops, cabinets with more than enough storage space, large kitchen island, recessed lighting, newer appliances & wet bar. 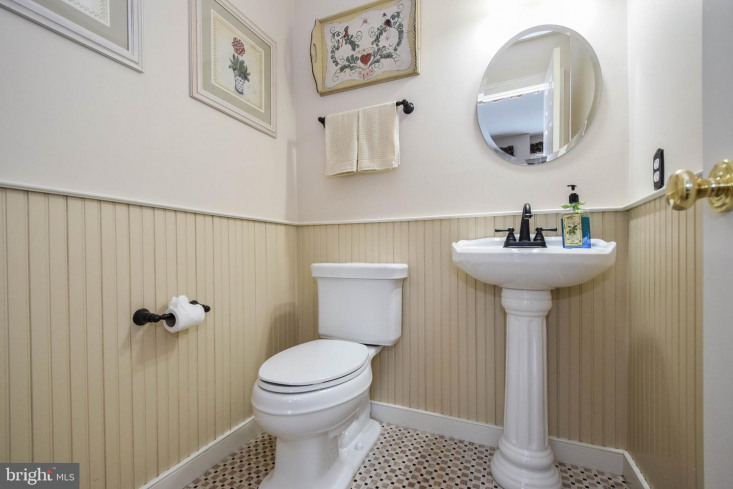 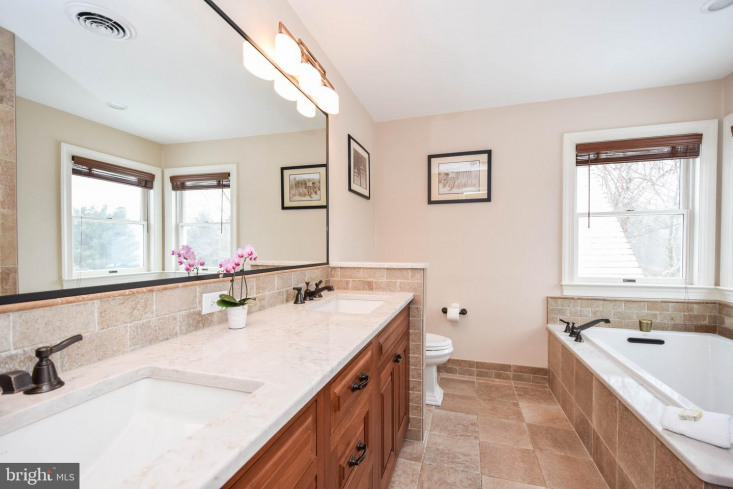 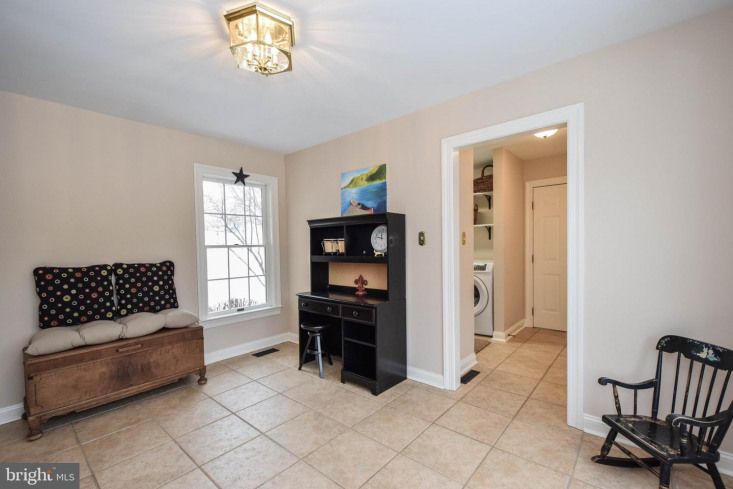 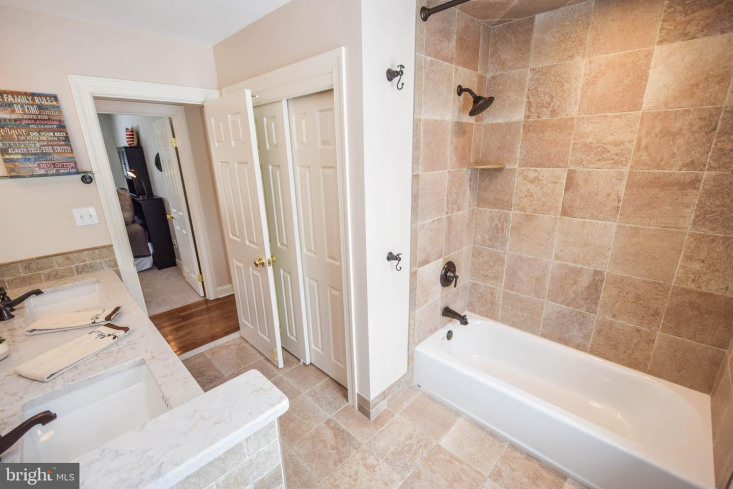 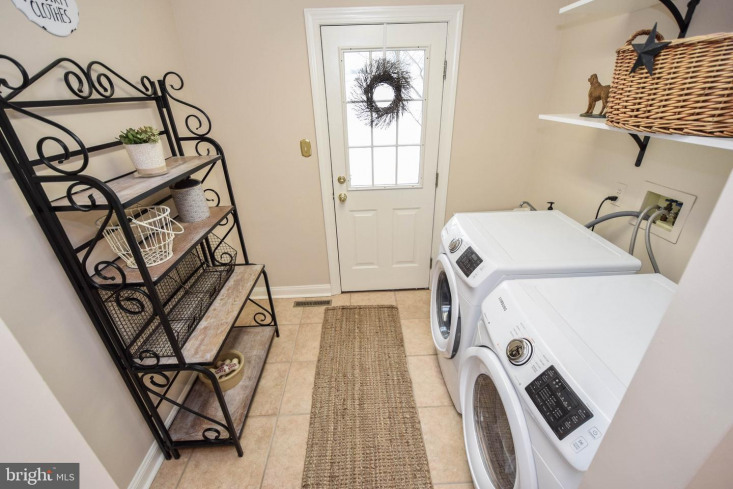 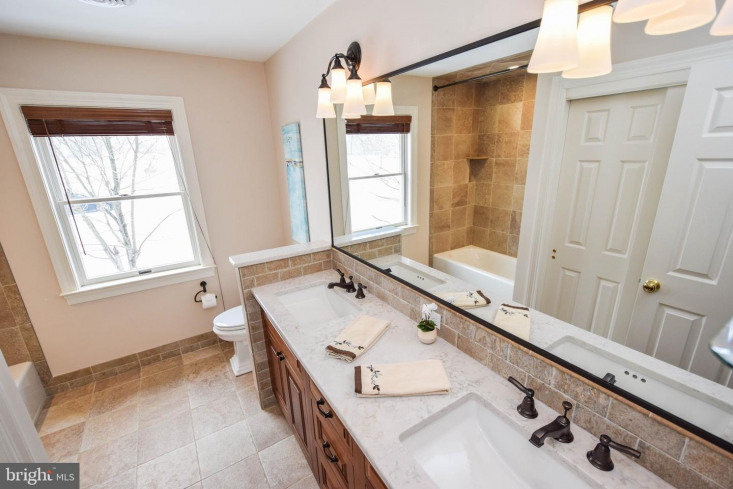 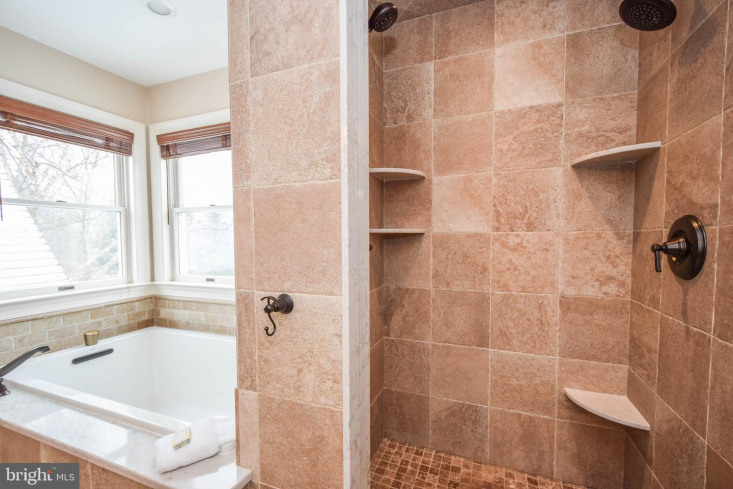 The main level also offers a mudroom/laundry room & half bathroom. 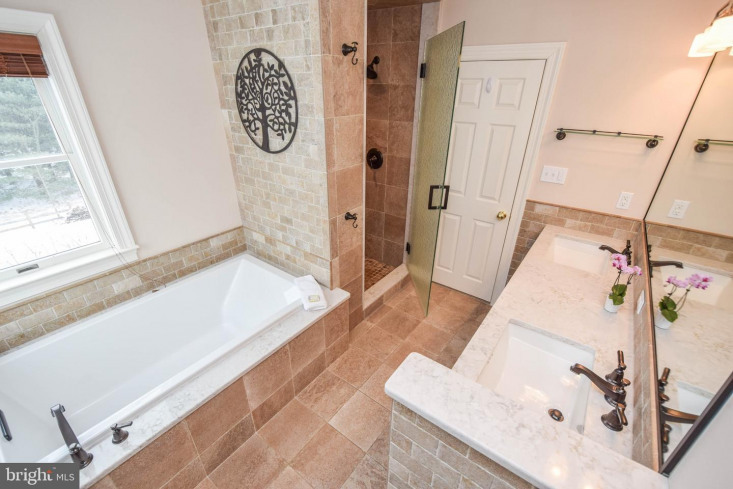 The second level offers 5 bedrooms and 2 full bathrooms. 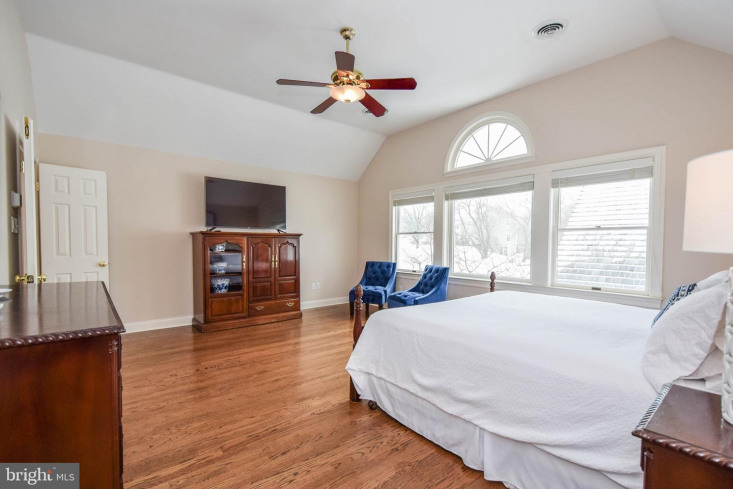 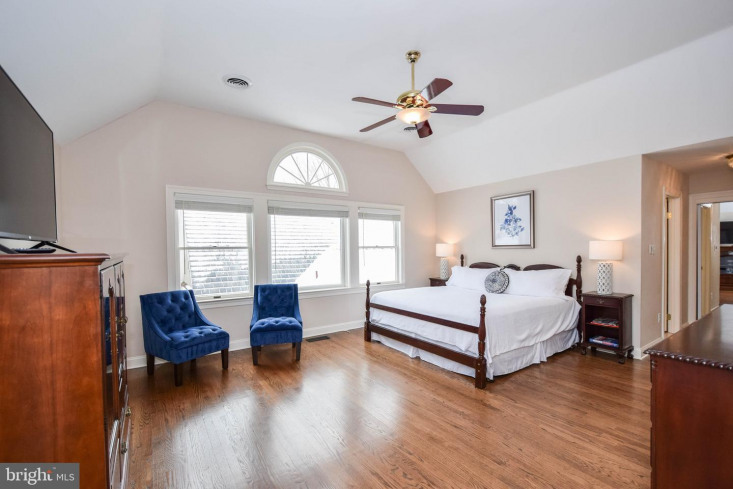 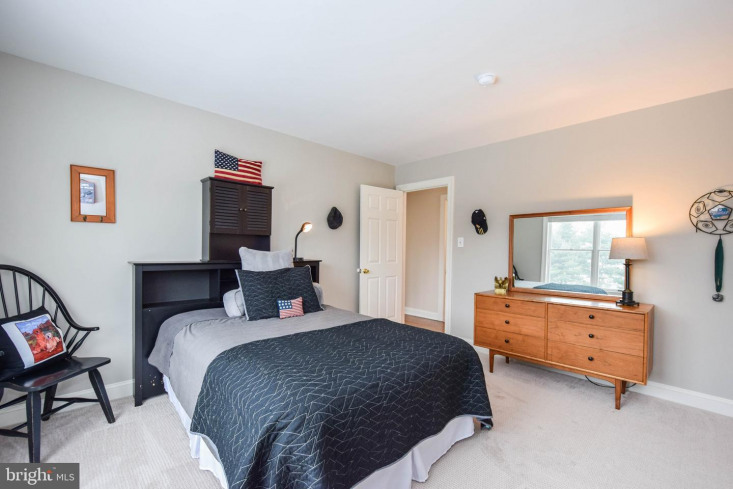 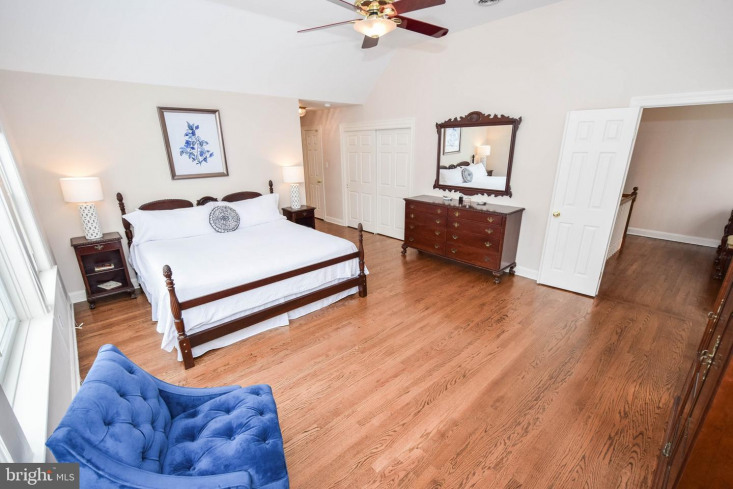 The master suite with the perfect lay-out offers high ceilings, 3 closets (one being a walk-in), & a fully renovated bathroom. 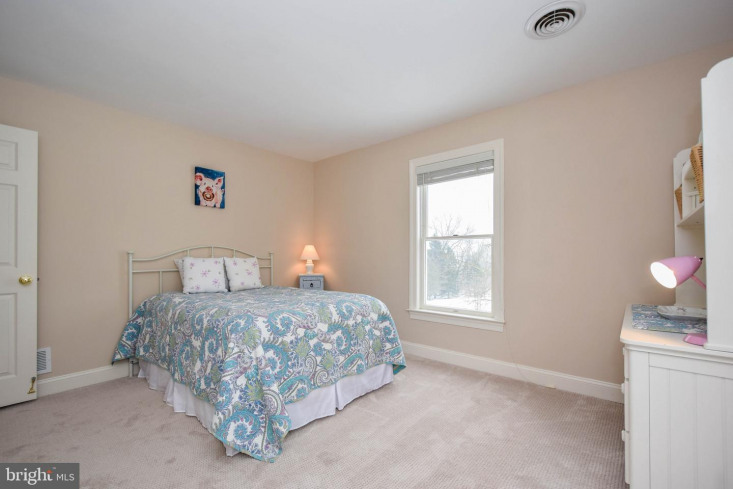 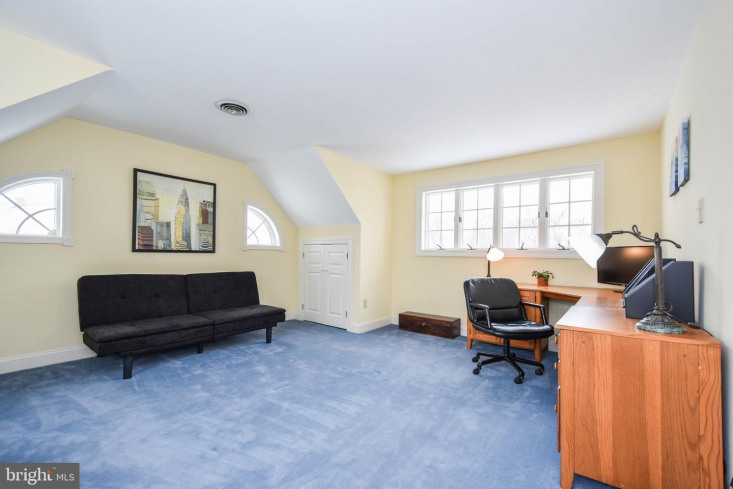 4 other bedrooms are nicely sized with great closet space. 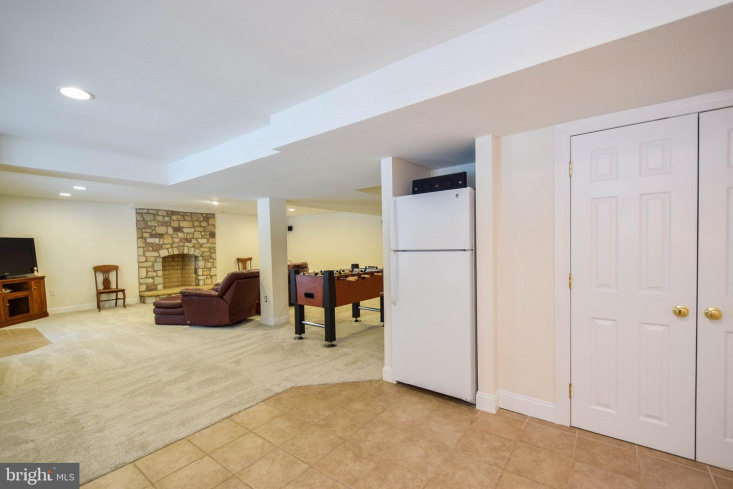 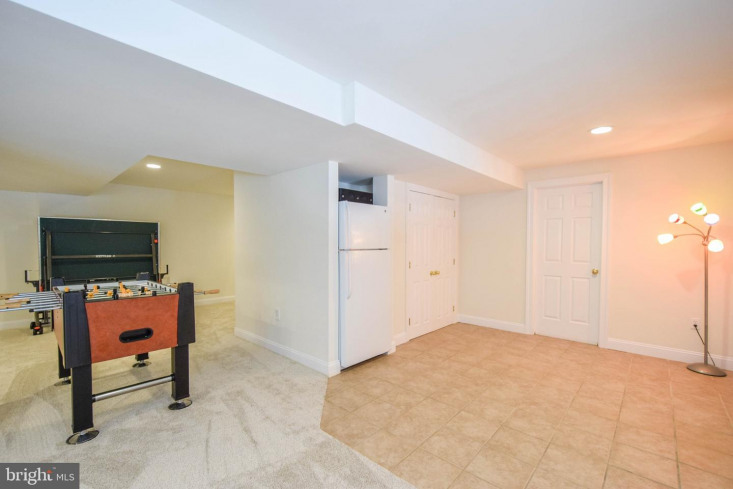 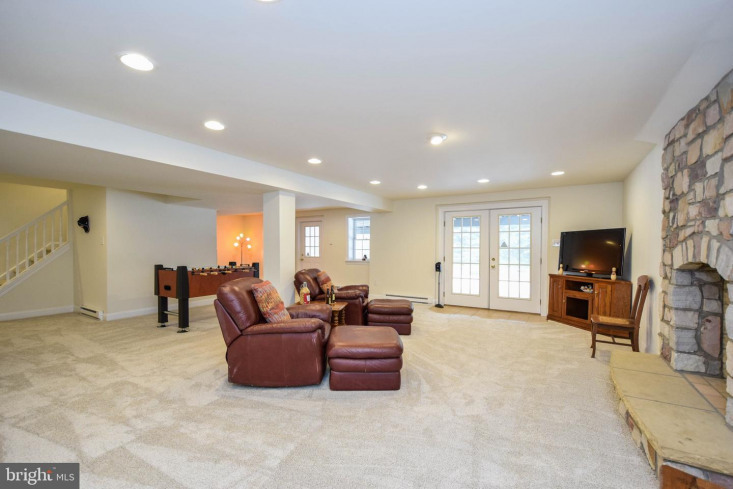 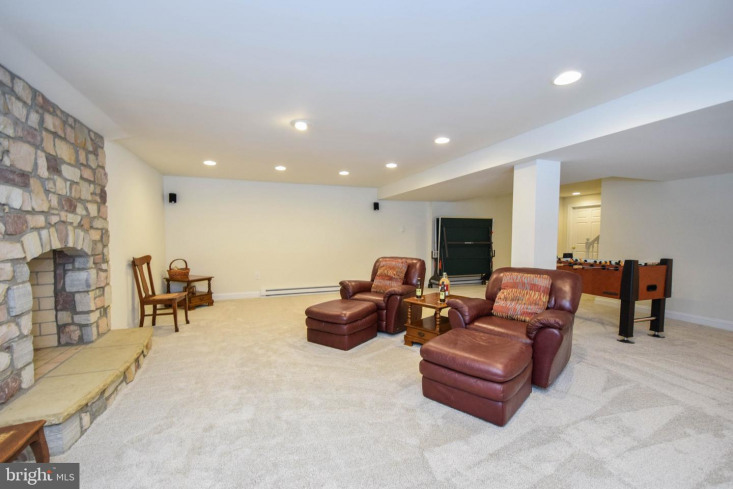 The lower level offers a fully finished walkout basement. 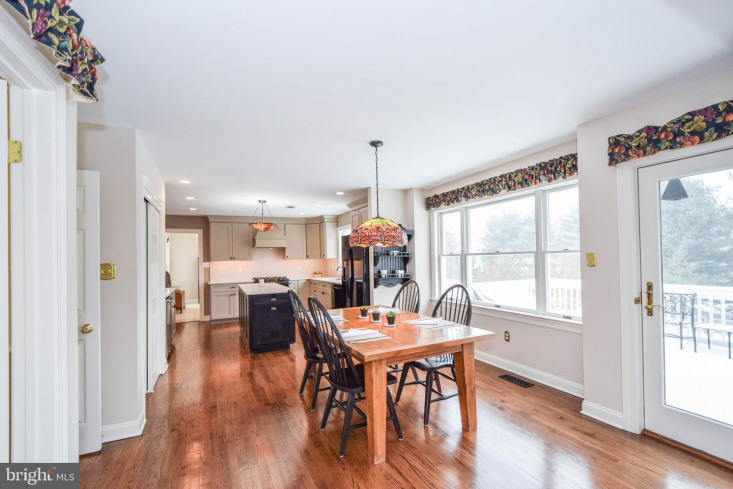 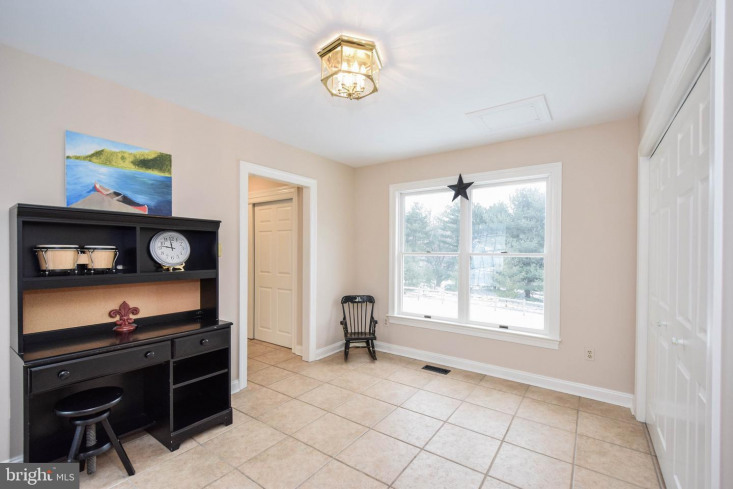 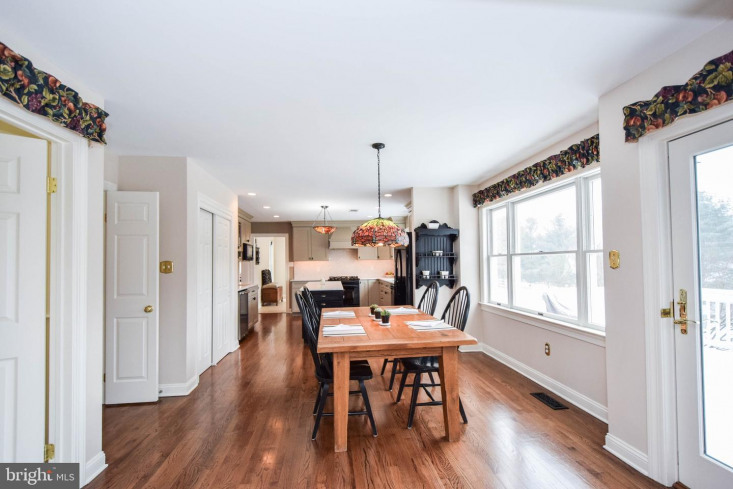 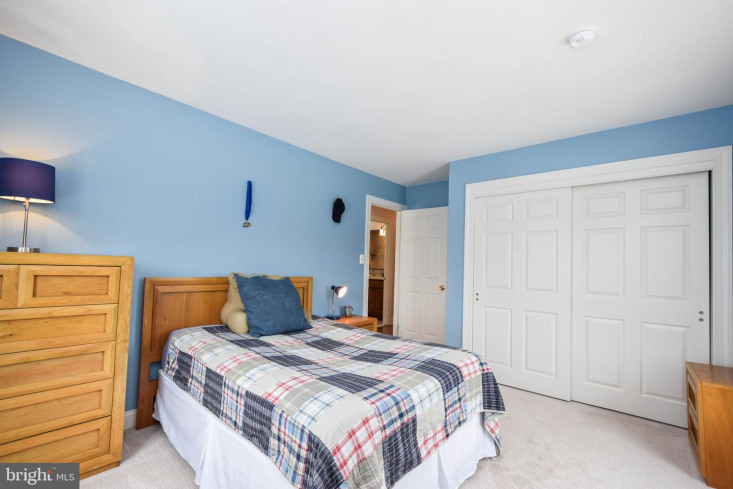 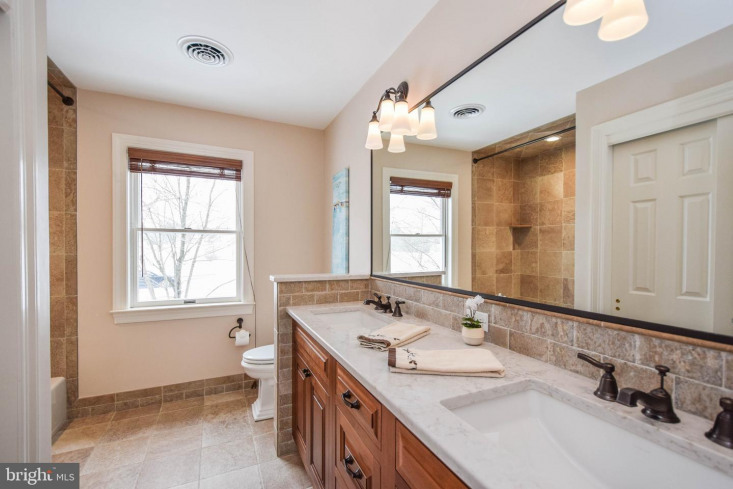 The home has a new roof in 2012, both upstairs bathrooms remodeled in 2016, remodeled kitchen in 2016, public sewer in 2009, three fireplaces, brand new carpet in the basement, heating system installed in 2019, central air system in 2019 and so many other major upgrades! 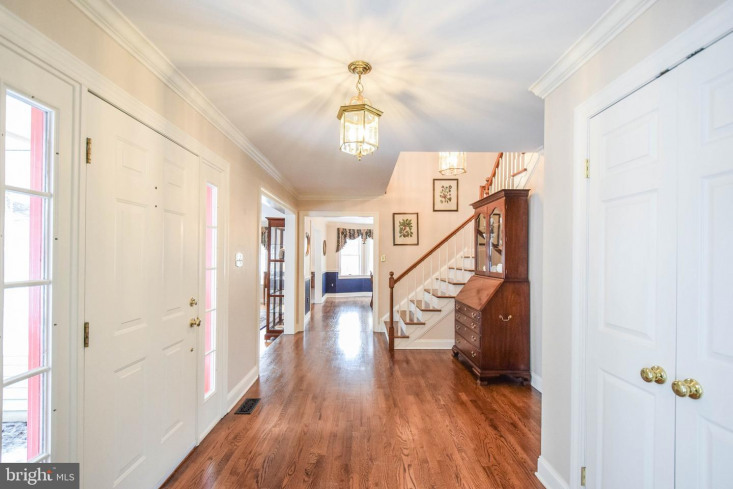  4865 Cheshire Road is a once in a lifetime opportunity and will not last long! 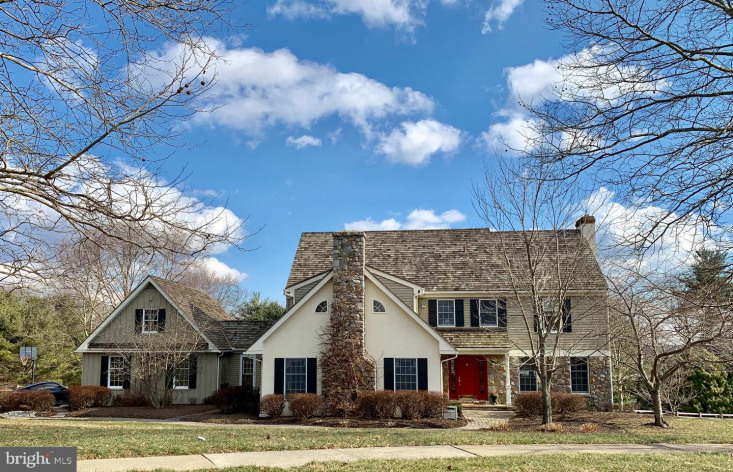 Call to schedule a private showing today!